That was the comment made about me after the post about my family choosing to not regularly having dinner together went viral. Apparently my two year old having difficulty sitting still is cause for alarm for some people. My parenting and the control I have over my children needs to be called into question. My goal is not to control my kids. They aren’t robots or animals. They are human beings with thoughts, feelings, emotions and ideas of their own. They aren’t miniature versions of me, they are unique versions of themselves. I have no right to seek to control them. Do I teach them? Yes. Obviously. I take teaching my children very seriously, I want them to learn and grow and be able to make their own decisions as they get older. Do I expect them to obey rules that I’ve put in place for their own safety? Absolutely. But I also teach them why the rules are there so they can learn to make good choices later in life. I’m not teaching them to merely “obey”. I’m teaching them to make choices, and to learn from them. Control is not something I’m seeking. I’m their mama. Not their dictator. This isn’t some new brand of parenting that allows the children to rule the household while the parents cower in fear. No, my husband and I are in charge. We’re just not in “control”. That word, when directed at my children, makes me twitch. My kids are allowed to be sad. They are allowed to have trouble sitting still. They are allowed to have a bad day. They are not allowed to hurt other people or themselves. They hear the word “no” (quite a lot) and know precisely what it means. Most importantly if they want to know why they are hearing the word “no” we sit and talk about it. So to the darling commenters who called my parenting into question over our personal family choices… I’m not sorry, and I’m not going to learn to control my kids. Perhaps we are striving for very different things in our parenting. 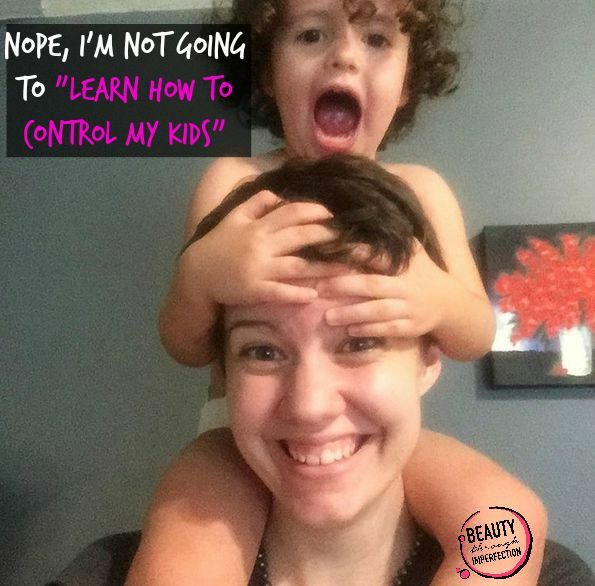 I’m never going to “learn how to control my kids” simply because I don’t want to and I don’t think I need to. Every day I learn how to teach them better, we learn and grow together. It’s not about control, it’s about learning and loving…together. Respecting who they are, even when it is different than me and not expecting them to behave like adults every moment of the day. When at all possible, we laugh together. Sometimes that is impossible. Oftentimes rules must be enforced, but most of the time it’s an effort to work together as we learn together. Are there phrases like “control your kids” that make you twitch? Share your thoughts in the comments! It’s nice to be here again. I wasn’t aware of that post of yours that went viral. The internet is a hard place to be fully understood though, huh? Intentions, inflection, and body language aren’t shown… to say nothing of truly knowing one’s heart and life. Doing great! :) Nice to see you here again. 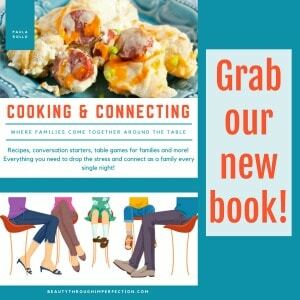 For many years my husband worked a second-shift job, which made evening meal time a little chaotic. When our twins were little, I literally stood at the counter to eat because as soon as I sat, someone needed something else (the joys of having four kiddos, haha). What we would like to see happen in our homes doesn’t always work for our families. Sometimes we go through chaotic seasons, especially in the years of littles. :) I love family mealtime now, partially because my husband’s new work schedule allows him to be home with us, and partially because our children are old enough to make time at the table truly enjoyable (no more eating at the counter for me!). 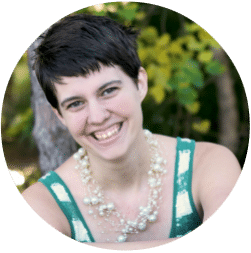 So, to all the mamas out there, don’t feel bad about your mealtime “imperfections.” We’re all works in progress in many areas, especially in parenting. And Paula, I love what you said about not being a dictator! I’m sure your children will greatly appreciate your grace-filled approach to parenting. After all, our children are works in progess, too, yes? I feel the same way, thank you for sharing!! Yes! I love this! I grew up with a mother who “controlled” everything. If she wasn’t in control, I was punished so that she was in control. It took me many years to realize there is so much that I cannot control and do not want to control and one those things is my kids. My husband struggles with it, but it is a work in progress. My children know how to behave, but when it comes to making choices, I let them make their own decisions and experience life. It is the only way they will grow and learn to stand on their own two feet. Well said- the child is recognized as a unique individual with feelings and perceptions of his or her own. They are not allowed to hurt others or themselves. Freedom of HAVING emotions is so important! Yet we are expected as parents to teach and guide our children to handle and process the breadth of the human experience while having respect for the inexperienced individual child, and we, as parents may already have our own struggles with handling and processing our OWN emotional experience. Being a parent is not easy! The other day my husband made a fuss because my five year old is messy when he east. He’ll say things like “he eats like a two year old.” I get frustrated b/c I don’t think it’s good for our son to hear his father say that. Then he added “he’s going to be ridiculed in school.” My husbands’ father was a judge and he’s very high on the J side of things. What are you thoughts? How would you approach? Should a five-year old know how to eat a pancake without making a mess? Am I missing the boat as a mom? Gentle reminders, not harsh words, are the key to good manners being learned. I raised 7 children and they all went through messy stages. Harshness breeds fear and nervousness at the table. Will they need to be reminded often? Yes, they are children, not mini adults. Hey Buddy!, I found this information for you: "“You Need to Learn How to Control Your Kids”". Here is the website link: https://www.beautythroughimperfection.com/control-your-kids/. Thank you.